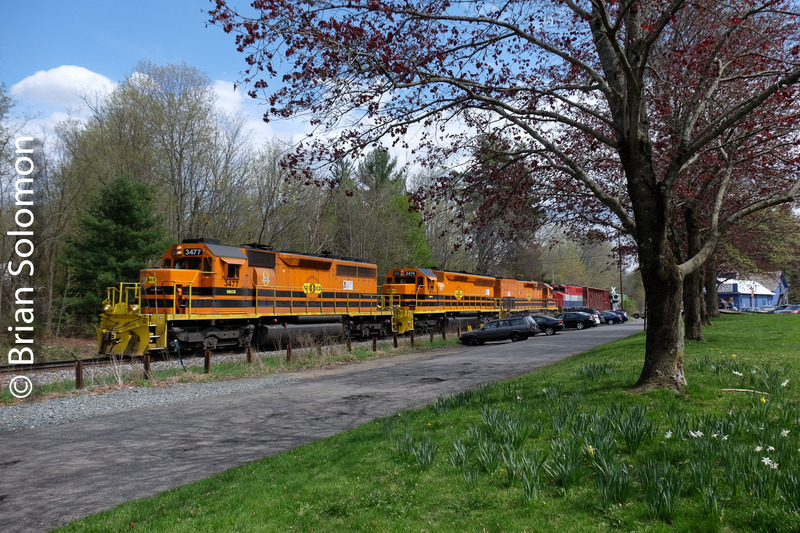 Spring at Cushman: New England Central’s northward 611. During the last few days everything’s gone green in central Massachusetts. 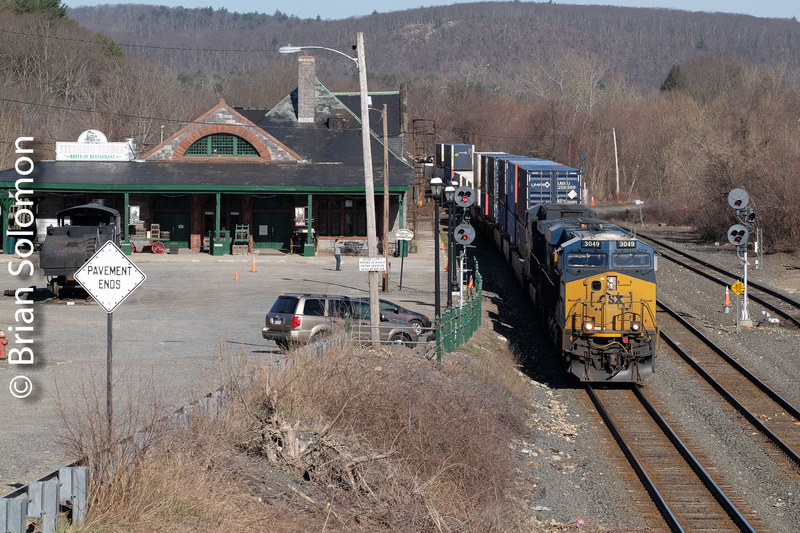 I was driving north and overtook New England Central’s 611 on its run from Palmer back to Brattleboro. At Cushman in Amherst, Massachusetts the spring greenery and flowers combined with soft early afternoon light made for a pleasant setting. After a wait of just 20 minutes, the NECR freight hit the crossing and I exposed a sequence of digital images using my FujiFilm X-T1. From there the chase was on! Exposed at ISO 250 f6.4 1/500 18-135mm lens set at 18mm.